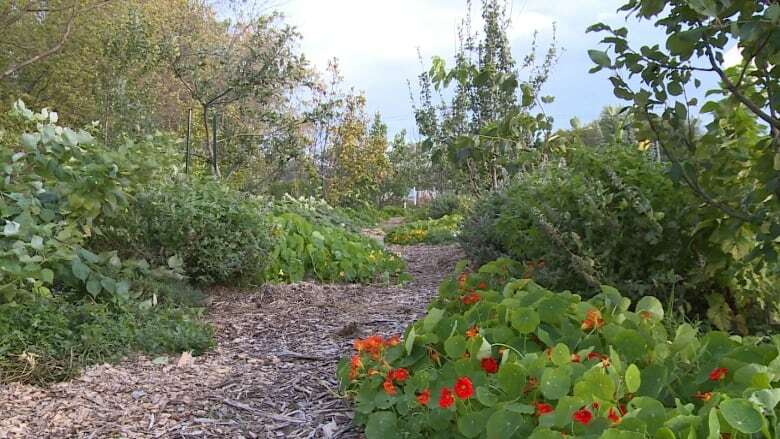 Runners, cyclists and walkers in a West Island suburb are now able to snack on the go — plucking fruit from trees, berries from bushes and herbs from the ground in what has been dubbed a "food forest." "The idea is to make Sainte-Anne-de-Bellevue a sustainable place, a healthy place and a place where people can practice an active lifestyle and be in harmony with nature," Coun. Ryan Young told CBC. Young initiated the project by applying for a grant from Tree Canada, a charitable group that promotes the planting and nurturing of trees throughout the country. Tree Canada is planting edible trees in 39 communities this year to encourage environmental health and education on food security, community involvement and beautification. 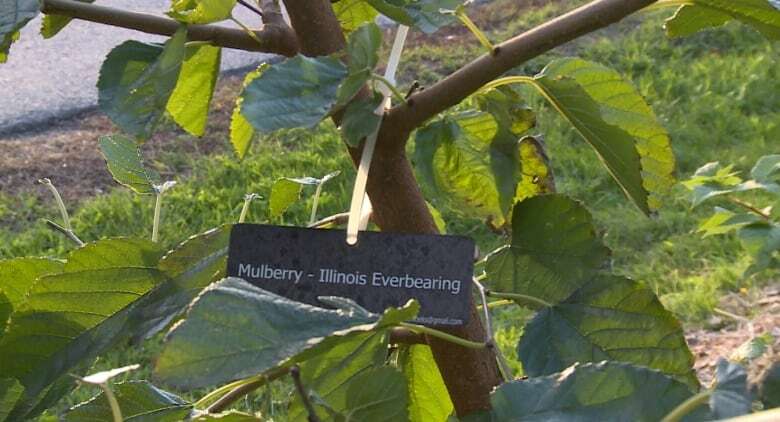 Since 2012, the organization and its sponsors have planted more than 10,000 edible trees in more than 100 communities. Saint-Anne-de-Bellevue, chosen out of some 130 applicants, received about $4,000 to set its own project up — planting an array of edible plants along a busy bike path. When people are out being active, explained Young, they can stop by for some organic snacks. "The purpose of this food forest is also to create a situation where there will always be something for the community to pick or nibble on at any point during the growing season," says Young in a September statement issued by the suburb. The "public permaculture food forest" is designed to support itself with several layers that mimic a natural forest's ecosystem, it says. 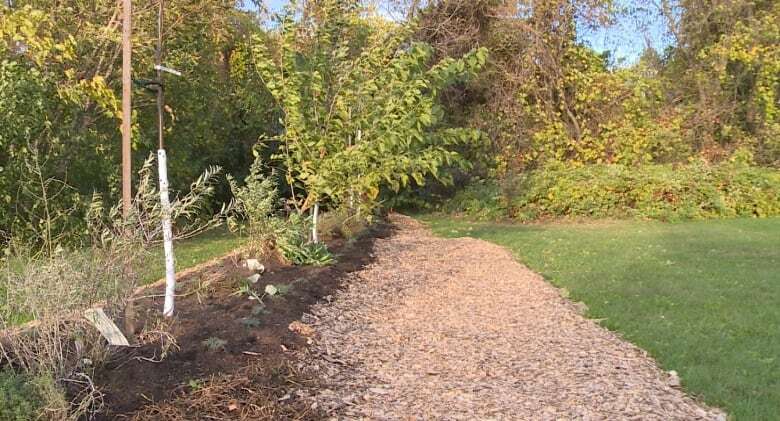 The rows of trees are connected by strips of mulch and interplanted with berry bushes, dwarf fruit trees and ground cover plants. The suburb worked with Zach Loeks, author of The Permaculture Market Garden, in designing a fruit forest that measures about 50 metres long and 20 metres wide, the statement says. A total of 12 edible trees were planted. 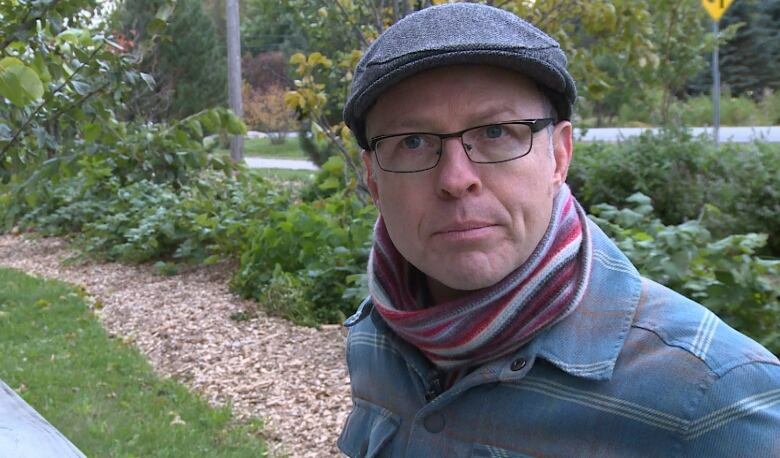 The project also has an educational component because it involves students from McGill University at Macdonald Campus who are taking a landscape design course. The suburban municipality will encourage residents to take cuttings so they can grow edible plants of their own on. That is something Maureen Puliot appreciates as someone who has a plot in a nearby community garden. "It encourages more people to get into the bike path and to bicycle and have more fruits and vegetables," he said. Young says he hopes the project will also encourage other municipalities on the Island of Montreal to establish fruit forests along their own bike paths.